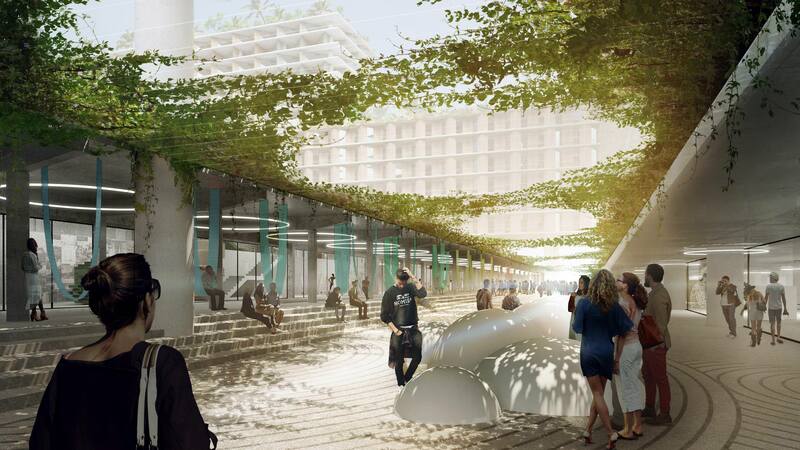 Miami’s Office of Zoning has granted approval to a waiver for the Miami Produce Center Special Area Plan, according to a notification on the city’s website. The waiver allows for a 10% decrease in the required acreage needed to apply for a Special Area Plan, normally 9 acres. The Special Area Plan still needs to be reviewed by the Planning Zoning and Appeals Board, followed by two City Commission readings for final approval. Approval of the waiver was granted October 26, shortly after an October 17 Urban Development Review Board meeting where overall development plan was approved. Construction permitting is already underway for a restaurant inside the complex to be called MP BBQ (there’s a Mongolian restaurant in California which also operates under the MP BBQ name, but it isn’t clear if it is related). According to the application filed with the city, MP BBQ will occupy 3,085 square feet. Construction cost is estimated at $300,000. Plans for the restaurant were first filed August 14, and a permit has not yet been issued. An adaptive reuse of an existing building is planned, so it can move forward even before approval of the Special Area Plan. 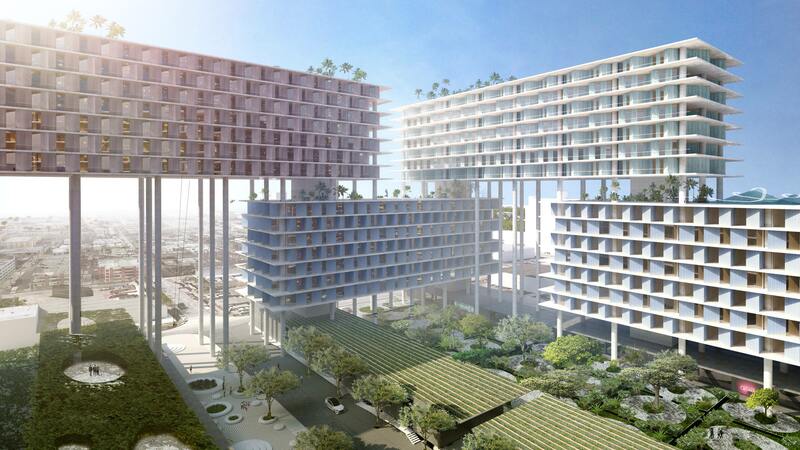 Miami Produce Center will include over 1 million square feet, spread over 8 buildings. 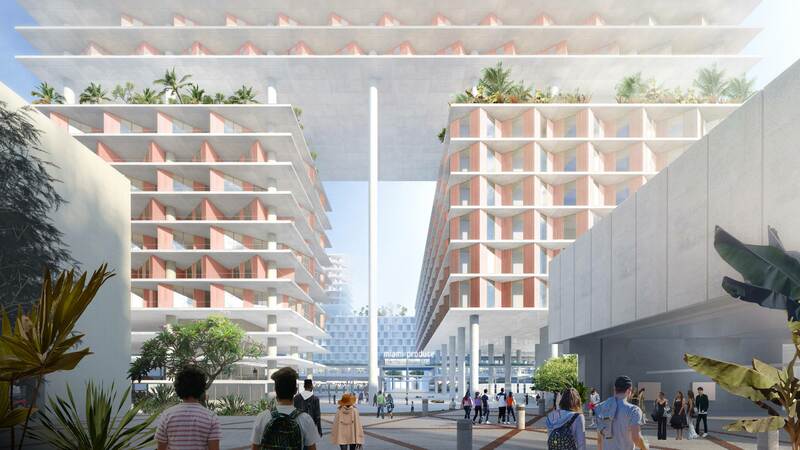 Some of the 19-story buildings will be supported by stilts, in a design created by Danish architect Bjarke Ingels. 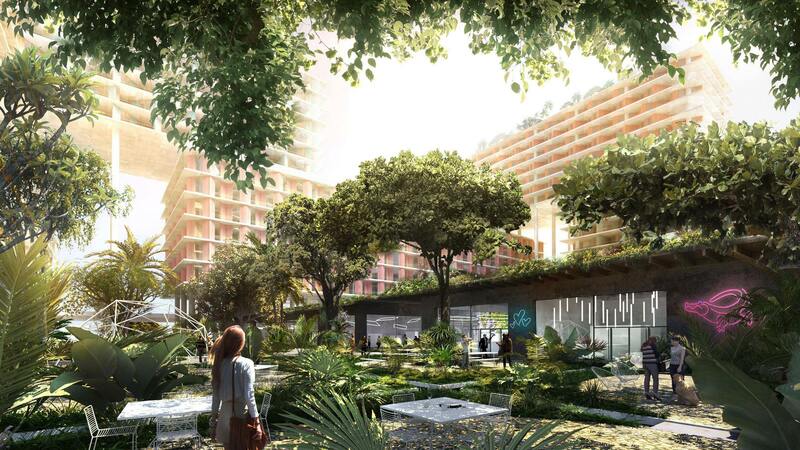 Components will include 1,900 residential units, co-working office space, hotel, retail, educational, breweries, art studios, and active rooftops. Best new project in Miami. When you look at projects already built in Miami some are nice but not amazing! This is one of those development’s that has that wow factor… this will definitely be a tourist destination. Besides the whimsical style of the architect, I love, love this project. How about a waiver to reduce the number of required parking spaces. TBH, if it wasn’t on stilts, it would be pretty boring and mediocre, but at least it wouldn’t be ugly. But it is, Blanche, it is on stilts! Buildings on stilts that’s not over water… clever! A Suspension Bridge over land and not over water… brilliant! 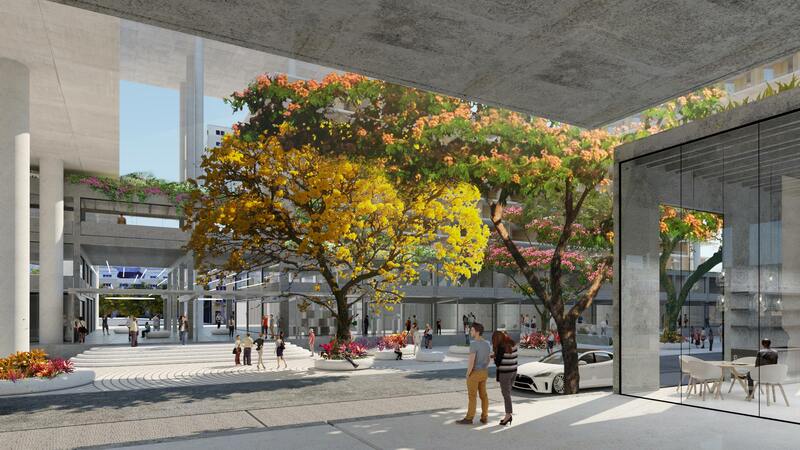 Putting a Mass Transit system like Bay Link or at least extending the Metromover over the bay and into Miami Beach… Nahhh, dumb, are you crazy, ridiculous, who will pay for it, needs more studying, not now, take the bus, take the trolley, uber, king tide, etc, etc, etc…. Miami is so world class.